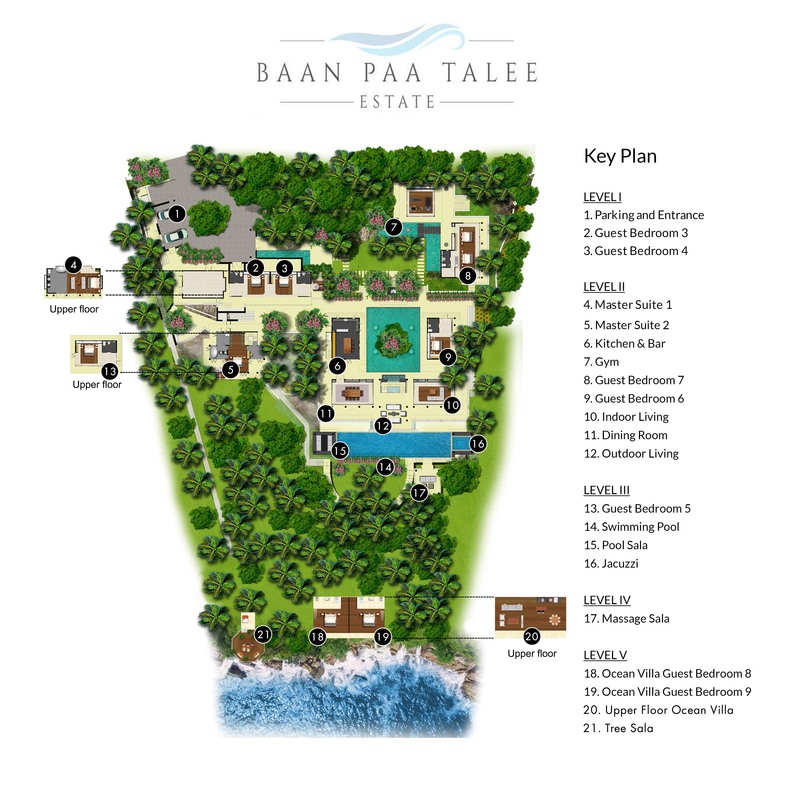 Baan Paa Talee Estate is arranged over four levels, each connected by stepped pathways that wind their way through lush gardens cascading down the hillside towards the ocean. Next, under the gaze of a serene Buddha and arranged around a large water feature punctuated by a majestic frangipani tree, are the guest kitchen, dining room, open-air reception lounge (from where the spectacular ocean panorama is first fully appreciated) an air-conditioned TV lounge and another guest room. Off to one side of the living areas is the second master suite and – set slightly behind and below the first master, two connecting guest rooms. The villa’s pool and ‘chill out’ zone lie on the next level down, as does the fifth guest bedroom and finally, far below, the two-bedroomed Ocean Villa, tree sala and a beach house containing watersport equipment. More steps lead down to the water’s edge.